Staff: The staff positions available are the jobs that mean being in the thick of it with the kids. From teaching them English to playing sports to being the nurse…. Support + Catering Staff: Our support staff are the more behind-the-scenes team that make it all possible for camp to take place! From driving the kids around to IT stuff to catering to logistics…. 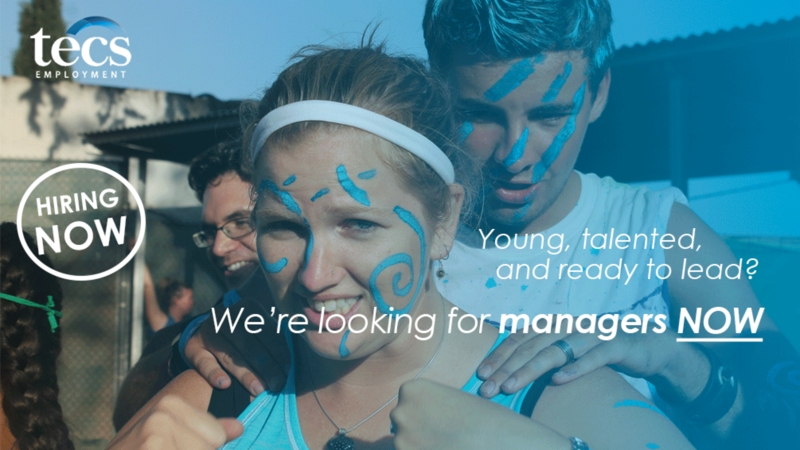 Management Positions: Our camp managers are key to the success of our summer camps. There is a manager responsible for each area of camp; From ensuring the English classes are being taught well to ensuring the monitors are running great activities to being the director of the entire camp!! Office/Admin Positions: As we are a summer camp organisation, our staffing structure during the year in the summer camp department is far smaller, so we are looking for a few young and motivated people to be part of this core team either all year round or from January/February onwards. Residential English teaching position whereby you are responsible for teaching 4 hours of class each day and doing other pastoral and programme duties the rest of the day. Responsible for motivating and inspiring the campers to use and learn the most English on camp possible through running activities and supervising the different aspects of the camp daily routine. This is similar to a camp monitor position (see above) but for those wanting to gain experience in TEFL teaching. Once or twice a week the TEFL monitor will covering an English class instead of doing sports. This is a camp monitor (counsellor) position for Canadian candidates applying through Scotia Personnel ltd.
Our Catering staff assist our catering company during meal times. They will be responsible for the setting up of the eating areas before each meal, and ensuring that each table of kids has enough food and water. A camp assistant monitor does exactly what the name suggests, assist the camp monitors. They will do this by running activities and supervising the different aspects of the daily routine. Assistant monitors are typically between 16-18 years old. This position is a hybrid between the two other positions. Our “assistant monitors + catering” will not only do the fun sports and work with the kids, but they will also help out during meal times and get some contact time with the kitchen to improve their Spanish. Hay algunos alumnos que vienen a aprender español en los campamentos (especialmente en agosto). Este puesto seria dar clases de español a los niños por la mañana y supervisarles el resto del dia. In TECS College we don’t have teachers as the kids don’t have English class. Instead we’ve got tutors who will run the personal development programme running things like workshops and projects. Usually this position will be filled by returnee staff. The assistant coordinator position is a step between the camp monitors and the activity coordinator position and acts like a “head monitor” type figure. This positions is usually for those with previous summer camp experience or similar, or returnee staff. Our camp drivers and support are responsible for doing all driving on camp (going to buy things or driving the kids to places) and generally being the behind the scenes support for the camp. This person will act like the “head camp driver and support” and will start a month or two beforehand as before the summer they will be preparing everything for setting up the camps and also dividing out all of the materials for each camp. Crew members are ex-TECS students who are between 17-19 years old and are looking to gain experience working with children in a summer camp environment. The TEFL Coordinator is the manager of the TEFL teachers and the English learning programme. They will manage between 3-10 teachers and also teach class themselves. The Activity Coordinator is the manager of the monitors, the daily activity programme. They will manage between 3-15 monitors and will also run large activities and events. The activity coordinator is the heartbeat of camp. The camp director is the overall person responsible for everything in their summer camp. They manage the coordinators below them to ensure that the programmes and staff that each one of them are responsible for are run to the highest quality. The welfare coordinator manages the area of camper welfare and well-being, as well as being the person responsible for parental communication on their camp. Welfare Coordinators must be Spanish and are usually ex-campers. The Nurse/Welfare Coordinator is a combination of the nurse and welfare coordinator positions for smaller camps. They are responsible for the welfare and health of the kids, as well as parental communication. This person must have some previous first aid/nursing/medical knowledge. The camp nurse is responsible for the health and diets of the campers. They will do things like care for the kids when they are sick, ensure they are getting the correct medicines, correct special diets, etc. This person must have some previous first aid/nursing/medical knowledge. The camp secretary is an administrative internship position which is perfect for young people looking to gain experience and responsibility at a young age. The camp secretary is a key part of our summer camp year round team and is responsible for the administrative preparations for the camps. El auxiliar administrativo de producción de campamento es un miembro imprescindible de este equipo pequeño (conocido como la oficina central) porque son responsables de la parte de la producción de los campamentos que tiene que haber con la comunicación con proveedores externos además de ser un apoyo administrativo al equipo para sacar los mejores campamentos de inglés posibles. This position is perfect for young people who are wishing to do an internship in Spain working with children and gaining experience and training in how to teach English.